The dangers of impaired driving have long been known. Campaigns targeting drunk and drugged driving have repeatedly encouraged drivers to make safe decisions behind the wheel, and the sad consequences when this fails to happen have been reported over and over again. Often, however, people do not associate these same dangers with a growing and alarming trend—drowsy driving. Drowsy driving is defined the by Centers for Disease Control and Prevention (CDC) as the “dangerous combination of driving and sleepiness or fatigue.” Though drowsy driving is a problem for all drivers, it is an even greater risk among commercial drivers. Commercial drivers are under pressure to travel as quickly as possible to deliver goods and meet deadlines. Many times, this leads to drivers who push their own physical limits and continue to drive long after they grow tired. To protect everyone on the road, the government has set limits on how long commercial drivers may operate their vehicles. These mandates are known as hours of service rules. Must not drive for more than 11 hours in a period of 14 consecutive hours. Must take a break of at least 30 minutes if eight consecutive hours have passed since the last off-duty period. Must not drive more than 60 hours in a seven-consecutive-day period, or 70 hours in an eight-consecutive-day period. Though this is thought of as a weekly limit, it does not have to fall in a typical week schedule (i.e., Sunday to Sunday). Drivers are required to keep records of their travel and provide the logbook to law enforcement or inspection officials when asked. Recently, the FMCSA adopted a rule that will require all commercial drivers to use an electronic logbook to keep this record. Officials with the FMCSA say the rule will reduce instances of fraud and potentially prevent 26 deaths and 562 injuries each year. These rules and their consequences exist to prevent dangerous crashes that occur as a result of fatigued drivers. Famously, comedian Tracy Morgan was involved in a deadly crash in 2012 when a tired truck driver crashed into his chauffeured limo-van, killing one passenger and seriously injuring Morgan. While this story made headlines because of Morgan’s fame, drowsy driving crashes are a sadly common occurrence on our roadways. The National Highway Traffic Safety Administration (NHTSA) states that 846 people were killed in drowsy driving crashes in 2014, but many experts agree that the reporting of these events is vastly underestimated. The CDC suggested in a 2014 paper that drowsy driving could play a role in as many as 7,500 fatal crashes every year. Less able to pay attention and focus on the road. Slower to react if they need to brake or swerve suddenly. Less able to make good decisions behind the wheel. The danger is heightened when a commercial vehicle is involved. Commercial vehicles are heavier and taller than other vehicles, and they can inflict more serious damage in a crash. Government accident data shows that when a truck and a passenger car are involved in an accident, the car occupants are injured or killed more frequently. In 2014, 68 percent of the 3,660 people killed in large truck crashes were occupants in the passenger car. When commercial truck operators and their companies disregard the hours of service rules, the consequences for other drivers can be deadly. 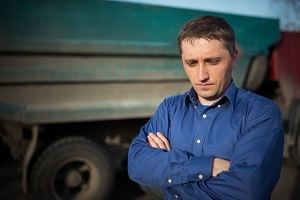 If you or someone you love has suffered injuries in a truck accident and you believe drowsy driving may be to blame, the lawyers at Rechtman & Spevak may be able to help. Call our Atlanta office at 888-522-7798 to speak to a member of our team and schedule a free, no-obligation consultation. Why Hire Rechtman and Spevak?